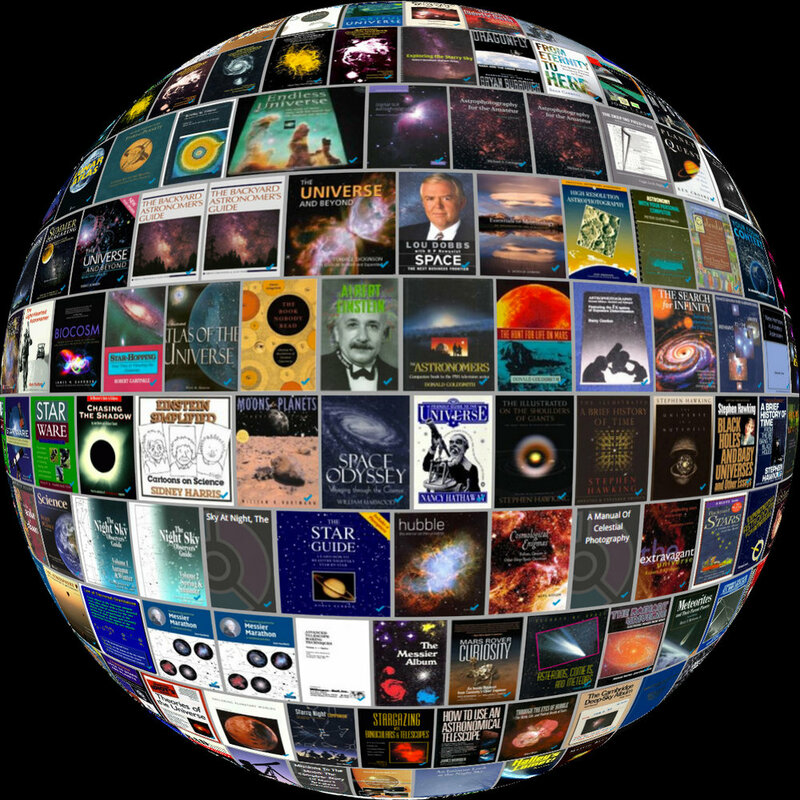 Rose City Astronomers maintains a comprehensive club library of astronomy related articles, books, CDs, DVDs and videos. These items can be borrowed by members at the general meetings for a period of one month with renewals available by e-mail to the RCA Library Director. The RCA library is constantly growing and we accept book, CD. and DVD donations and cash to fund the purchase of new books, CD's, DVDs and other materials. Any donations are fully deductible and cheerfully receipted. For books, CDs, and DVDs contact the Library Director. For cash donationsHere's how to donate! Many thanks to our Library staff which is headed by Jan Keiski and includes Chris Steinkamp, Carolyn Nissen, Penny Henning, and Dan Karmgard.